Do You need to Update Your North Carolina Power of Attorney? One of the most important legal documents you can have in your estate plan is a durable power of attorney. This is a legal document that allows someone else to act as your agent in the event that you are incapacitated. On January 1, 2018, a new law went into effect in North Carolina that changes and updates many aspects of the North Carolina Power of Attorney Statute. But before we get into what you need to know about the statutory changes, let’s take a minute to discuss what a power of attorney is and why it is so important. The reason a power of attorney is so important is that you never know when you will need it. And if you don’t have one when you become incapacitated, or the one you have is insufficient for what you need it for, then it is too late to get one. We can’t allow someone who is incapacitated or incompetent to sign a document like this. If you don’t have a financial power of attorney in place when you need one, then if you are in an accident or develop an illness that prevents you from making your own legal or financial decisions, then a guardianship would be necessary to allow someone else to make these decisions for you. Needless to say, a guardianship is expensive and takes time to put into place. Having a valid and enforceable power of attorney in place will allow you to pick the person that you want to make decisions on your behalf, avoid a guardianship, and save you and your loved ones significant time and expense. Now, on to the changes that were made to the North Carolina Power of Attorney Act. Concluding Thoughts… Do You Need a New Power of Attorney? Basically, the new law repeals or amends many aspects of North Carolina’s existing power of attorney law, and adopts the Uniform Power of Attorney Act as drafted by the National Conference of Commissioners on Uniform State Laws, with some minor changes and tweaks that are specific to our needs here in North Carolina. The first thing you need to know is that if you signed a power of attorney prior to January 1, 2018, it will remain in effect… for the most part. There are some minor exceptions to this rule and you will need to talk to a lawyer to have them review and analyze your power of attorney to make sure it is still valid. However, there is one big exception, and this relates to the statutory short form power of attorney. The powers given to an agent under the old statutory short form power of attorney will now be determined by the new law. What does this mean? If you signed a statutory short form power of attorney before the new law went into effect, you will want to talk to a lawyer to determine whether you need to execute a new power of attorney. Under the old law, an agent cannot act under a power of attorney after the principal becomes “incapacitated” or “mentally incompetent” unless the power of attorney is a “durable” power of attorney. Unfortunately, the terms “incapacitated” and “mentally incompetent” were not clearly defined under the old law, and there was there is no clear mechanism to determine whether a principal has become incapacitated or mentally incompetent. The only exception was for situations where the power of attorney only became effective when the principal became incapacitated or mentally incompetent. You’re in luck. Under the new law, a durable power of attorney is clearly defined in the statute, as is the term “incapacity”. That being said, if you want the power of attorney to stay in effect after the incapacity of the principal, then the power of attorney must be a “durable” power of attorney, regardless of what the new law says. However, the new law makes a power of attorney durable unless the language of the power of attorney “expressly provides that it is terminated by the incapacity of the principal.” This is the complete opposite of the current law, which says that a power of attorney is not durable unless the power of attorney says it is. Under the old statute, there were three general rules with regards to registration of the power of attorney in the register of deeds office. First, a durable power of attorney did not need to be registered so long as the principal was still competent to act on their own behalf. 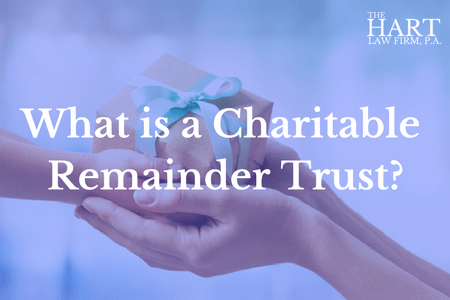 Second, if the durable power of attorney was registered in the appropriate register of deeds office before the principal became incapacitated, then the agent could continue to act on behalf of the principal during the period of incapacity. Finally, if the durable power of attorney was not registered when the principal became incapacitated, then the power of attorney is invalid until it is registered, and any acts taken by the agent prior to the registration are not validated by the subsequent registration. What does all this mean? Under the old act we always recommended that our clients register their power of attorney. Period. 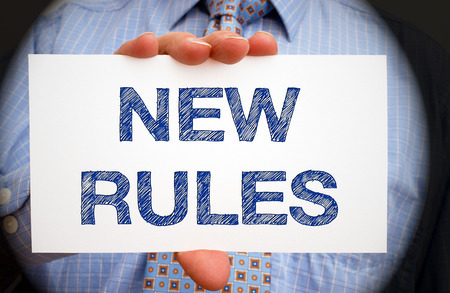 The registration requirements under the new law are much simpler. Basically, you don’t need to register the power of attorney unless the power of attorney will be used in a real estate transaction. Maybe you do, maybe you don’t. Whether or not you should put a new durable power of attorney in place depends in large part on the language of your current power of attorney and when you signed it. But here is one thing that is certain… you definitely DO need a power of attorney in place, and if you don’t currently have one, now is a great time to act. Here at our firm, we don’t typically sell unbundled documents. But having a power of attorney in place is so important that we have decided to make an exception. Now through the end of February, we are offering to meet with you and draft a power of attorney for you that is updated per the new North Carolina statute. Your investment for this meeting and the drafting of the power of attorney is only $250! But we would encourage you to act quickly. After February 28, 2018 we haven’t decided whether we will simply raise the price on this offering or stop offering this deal completely. If you have questions about whether your North Carolina power of attorney is still valid, or would like to take advantage of this special offer, please feel free to call us at (919) 883-4861 or complete our online contact form. 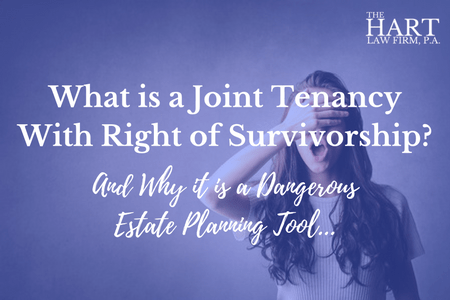 Previous Post: « Should You use a Joint Tenancy With Right of Survivorship as an Estate Planning Tool?